The Esophageal Cancer Education Foundation seeks to better the lives of patients with esophageal cancer through tips on living healthily and community support. 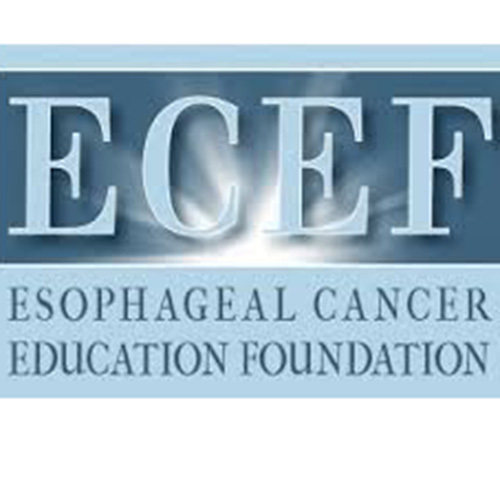 The Esophageal Cancer Education Foundation (ECEF) was formed by Bart Frazzitta, a survivor of esophageal cancer, and his wife Ginny in 2003, with the goals of bringing awareness and educating the public about esophageal cancer. The foundation produced a video that brings attention to this disease and also created a YouTube video channel that provides further information on esophageal cancer. It is also working to create additional videos prepared by patients, caregivers and survivors as well as physicians addressing issues that a patient may encounter in his journey through this disease. Once a patient is cleared to eat regular food, he or she needs to eat six meals a day since the stomach is smaller. However, remember that the same number of calories is needed to maintain current weight. Patients with esophageal cancer will probably not have an appetite, so eating by the clock may be a good option. For example, at noon have a half of sandwich, and then at 2 p.m. have the other half. The calories of a missed meal cannot be regained, so it is very important to eat these six meals every day. Try not to drink with meals since that will take up vital space in the stomach that should be reserved for calories. Stop eating between two and three hours before going to bed. Patients should want the food eaten to be digested so it will not create problems during sleep. Drink fluids to remain hydrated between meals. Exercise is a key element in the recovery process. Walking one to two miles, three times a week post-surgery is recommended. Try not to use heavy weights in exercise routines-- five to ten pounds is all that should be used. Sleep at a 25 to 30 degree angle. The surgeons have removed the sphincter valve that acts like a lid on the stomach. Laying flat causes the stomach to be higher than the neck and as such anything in your stomach can roll-up into your esophagus. Get involved in patient support groups to hear what other patients are doing. This will give a sense that you are not alone in your recovery process. The ECEF provides Conference Call Support Group meetings on a monthly basis where patients come together via a conference call to ask questions about their recovery process. This gives patients an opportunity to listen to and speak with, other esophageal cancer survivors and strengthens the feeling that they are not in this alone. From time to time, doctors will participate in the calls. They are helpful in responding to questions that are beyond the experiences of patients who are on the call. In addition to conference call support group meetings, ECEF has a 24-hour hotline for questions regarding quality of life. ECEF has also developed a book called “Esophagectomy Post Surgical Guide Questions & Answers” that is available at book stores or on the ECEF web site. This book identifies most of the issues a patient may experience in his post-surgical journey. If you have any questions please email info@fightec.org. Talk about this article with other patients, caregivers, and advocates in the Esophageal Cancer CURE discussion group.